Prevent the summer slump with these helpful tips. And see the list below of great books to get the kids reading. 1. Set aside time each day for independent reading. Even 10-15 minutes makes a big difference. 2. Read aloud to kids, even older ones, often. 3. Listen to audiobooks on those summer road trip—listening counts too. 4. Visit your local library. Most have fun, interactive summer reading programs to help kids stay engaged. 5. Go to the bookstore or used bookstore and allow kids to own books. Children’s books can be found at used bookstores for around or under a dollar. Libraries also have used book sales. 6. Be an example! The research shows over and over that kids are better readers when they have a good example in the home. Brand new for summer from Caldecott Medalist Dan Santat comes the ultimate road trip read. This road trip goes from boring to incredible in crazy illustrations (some are even up-side-down) and rollicking adventures. Help kids greet the day with a little reading, a little movement, and a little positive thought. This adorable book by kid yoga expert Mariam Gates is fabulously interactive, sweetly written, and beautifully illustrated. Beloved children’s author, Judith Viorst, offers loads of laughs and crazy adventures in the Lulu series. In this installment, Lulu’s parents go on vacation without her, leaving her with a formidable babysitter. 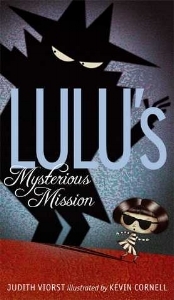 But Lulu has all kinds of crazy schemes to get them back. 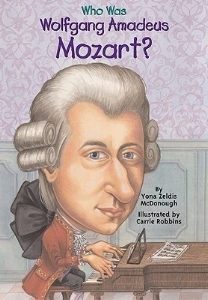 This fantastic series of nonfiction chapter books is perfect for the curious little mind. Learn all about favorite people, places, and events, with so many books to choose from. This fun biography of one of music’s greats is full of interesting facts and stories. Life as a sixth grader can be rough, especially when you fall, knock your front teeth out, and have to endure braces, headgear, surgery and all the embarrassment that comes with it. “The New York Times” bestselling author, Raina Telgemeier offers an engaging story told in comic book format. First published in 1961, this adventure story is still a kid favorite. Milo thinks everything is a big bore. 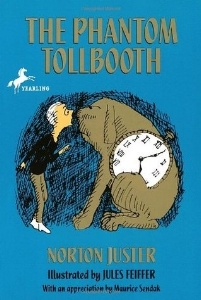 When a mysterious car and tollbooth appear in his room he sets off into a land of quirky characters, whimsical encounters, humorous dialogue, and subtle life lessons. An unforgettable childhood read. 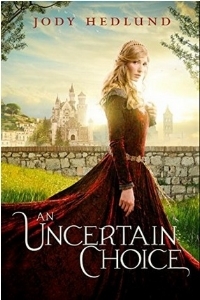 “An Uncertain Choice” is the story of Lady Rosemarie whose parents made a promise at her birth that on her 18th birthday she’d become a nun. A month before her birthday it’s discovered that in her parents’ will there is a way out. If she can marry before she’s 18 then she escapes the vow. But when three noble, handsome knights start competing for her affection, things get complicated. World War II is in full swing. When the United States Marine Corps enlists the help of the Navajos, 16 year-old Ned Begay lies about his age and enlists. Soon he finds himself embedded in a secret mission as a code talker. Sending crucial messages in his native language, Ned faces brutal fighting in the Pacific, and dangers he never imagined. A thoughtful, memorable historical fiction read.